In honor of RESET hitting Nashville tonight, we at Awaken Movement are featuring a family that is loving on their community in an effort to reset their city. Front Porch Ministry is headed by Thom and Michele Hazelip, who in 2004 sensed God impressing on their hearts to move to inner-city East Nashville. Two years later, the Hazelips and their 3 children moved to the drug and crime-ridden community of McFerrin Park. Below is a Q & A we did with Thom Hazelip about Front Porch Ministry. Hopefully you'll see that doing Kingdom work is often hard and thankless, but God is faithful to complete the work He has started in you. Be encouraged! Q: When did Front Porch Ministry begin and why? 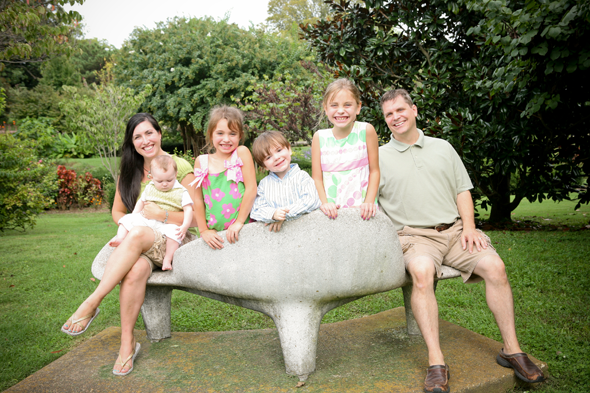 A: In 2005, we moved our family next to the Sam Levy projects in Nashville. We did so to seek to befriend our neighbors in hopes of helping with their needs and making an impact in their lives. We did not, however, plan to start a ministry or live here longer than three or four years. Q: What is the aim and mission of Front Porch Ministry? A: We want love our neighbors well. We seek to make a positive impact in the lives of the “at risk” through relationships, as well as meeting physical, emotional and spiritual needs. Q: Has the vision changed over time? A: Not at all but our activities and methods are under constant evaluations and evolution as we learn what works, doesn’t work and what is just a good way to love others and meet needs regardless of seeing fruit in the short term. Q: What resistance have you met and how have you handled it? A: From the beginning, when we decided to move here none of our friends, family or fellow church members thought it was a good idea. So much so that we lost friendships, our children stopped being invited to birthday parties and there have been people we have shared our lives with through home Bible study groups who gossip but do not talk to us. Our new neighbors didn’t want us here either because we were outsiders. The neighborhood was controlled by gangs, drugs and prostitutes and I would later learn that one of the gangs “targeted” me. This meant they intended to kill me, but someone started the rumor that I was an undercover cop so they backed off. Much of our early years were marked with opposition ranging from the Metro Councilwoman trying to kick me out of the neighborhood association to one of Nashville’s “most dangerous” (as described by police) persons moving in across the street and threatening to burn down our home. There was also Sherry Young. Sherry was our most vocal critic the first three years we were here. She told community leaders and neighborhood mothers that we were “fake” and the real reason we were here was to “kick everyone out of the neighborhood”. Yet today she is our closest friend in the neighborhood and the most trusted. The change only came through showing love in the face of hate. Michele had a chance to talk with her once and told her that we felt God wanted us here to help moms and their kids who need help. She told Sherry how God has forgiven us of a lot and taught us how to forgive others including her. When she realized we loved her regardless of how she treats us, the walls began coming down. Q: Can you offer a quick story of kingdom impact? A: Each of the past several years, we have had a number of people give their lives to Jesus. Our perspective on impact has changed since moving here. After the first few years where we had lots of activity but little to no real fruit we began to believe that God had called us to minister to others where we would plant seeds and water but not see the fruit. It was hard to accept the possibility that God may have called us to do something where we did not get to celebrate fruit. However, once we accepted that we soon started seeing fruit, it taught us that we are called to love others. Period. Planting seeds is important. Watering seeds is important. Jesus told us the most important commandments were to love God and love others as much as we love ourselves. So whether or not the Muslim family across the street ever converts we will continue to love them. No matter how many times a kid goes to jail, God still loves them and so do we. Our lives are not like short term mission trips where attainable goals and results are paramount. They are the daily love and care for God, ourselves and others. Encouragement to others seeking to start their own ministry but do not know where to start. If you can begin without the structure of a “ministry” – even if it is in a very small way – do it. Never underestimate the value of waiting and prayer. When struggles come don’t give up. God grows us through struggles – James 1. You probably can’t do this - don’t worry because God can. It’s OK if no one else understands. to see more of their work, and be inspired to RESET your city in Christ's name! Nashville, go check out RESET tonight at New Song Christian Fellowship in Brentwood!